Today I bring you swatches and reviews (S&R) of two Kolt HD polishes! 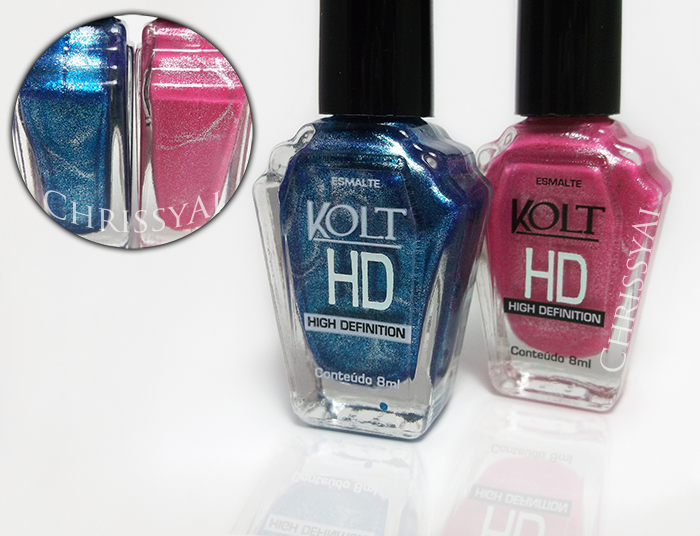 This is one coat of Kolt HD Power Blue, no top coat. Can I start off by saying what an awesome one coater this is? Power Blue is a gorgeous bright blue chrome, I was so surprised by how opaque this is! I really love the brush size too. They're on the bigger side and can hold a lot of polish. This is definitely a great blue to me and I think I'll be doing some winter designs with it soon! 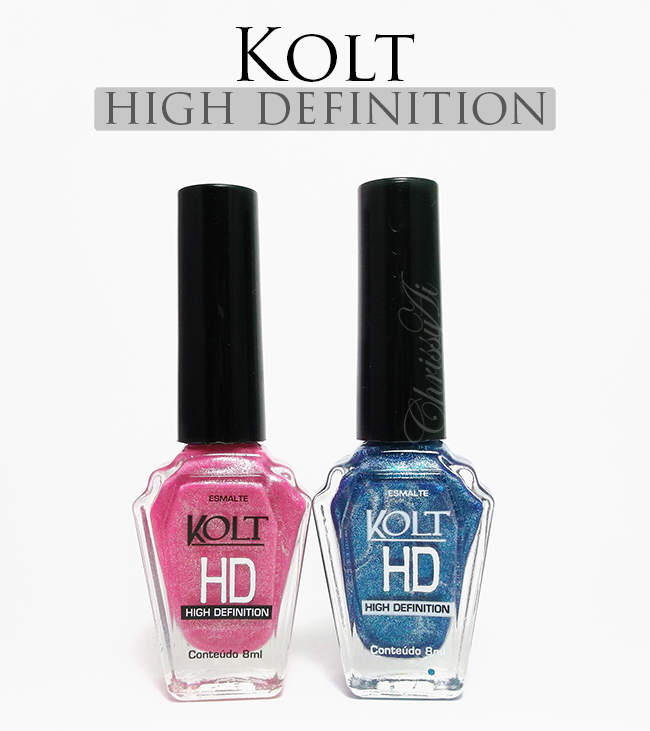 This is one coat of Kolt HD Pink LED, no top coat. This pink is a really pretty chrome, the silver shimmer is quite noticeable in this one which I think adds a nice flare to the color. I usually stay away from pinks because I'm just not a fan of them unless I see one I really "need" to have, but this polish is actually a color I could see myself wearing. Again, the brush is on the larger side and application was very easy. You can find these polishes at www.HarlowAndCo.org where they retail for $6.00! Over $50 and shipping is free, this applies everywhere! For those of you who don't know, the owner of Harlow & Co, Katie, created her company because so many nail polish brands weren't available to Canada. All of the brands she stocks are cruelty-free and most are Big 3 Free! Both are very gorgeous. Jayne want. Jayne must have! These are both so amazing I can't decide which one I like more! The blue is really beautiful, but that pink is gorgeous, too! Gosh these look amazing...the price is good too!